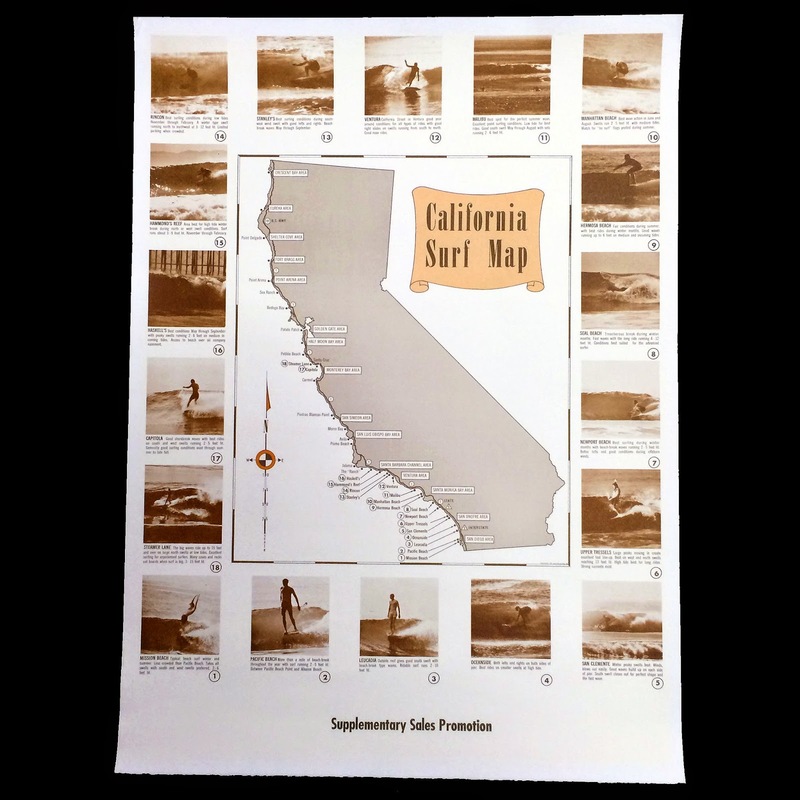 Donated by Mark Matyas and Roger Nance (Beach House, Santa Barbara), this cool map done circa late 60s-early 70s describes the various surf breaks that were popular in California during this era. No secret spots are listed, Stanley's is no longer in existence and Tressels might be a typo. Jus sayin'.